Although I am essentially a Midwesterner (evinced by my never-ending impatience and my love of work and of baseball), I have enough family roots and time spent in the city of my choice to be able to follow certain traditions here without needing an accompanying festival or a story in a hip magazine to guide me to it. Of course one of those is the deep observance of All Saints Day (la Toussaint) which begins at Vespers on October 31 running through November 1 which is a Holy Day of Obligation for Catholics, marked by a mass to remember the dead “who have attained heaven” but also by New Orleans families going to the family tomb with flowers, to clean, to toast or even picnic with their ancestors. In some areas, it is also marked by lighting candles as”tradition dictates that each living person burn one candle for each departed member of his family,” but also in anticipation of All Souls’ Day on November 2 (Le Jour des Morts). All Souls Day day is dedicated to those who have died and not yet reached heaven. Of course, all of this closely follows Celtic and Latin traditions. All Saints’ Day coincides with the first day of the Day of the Dead (Día de los Muertos) celebration. 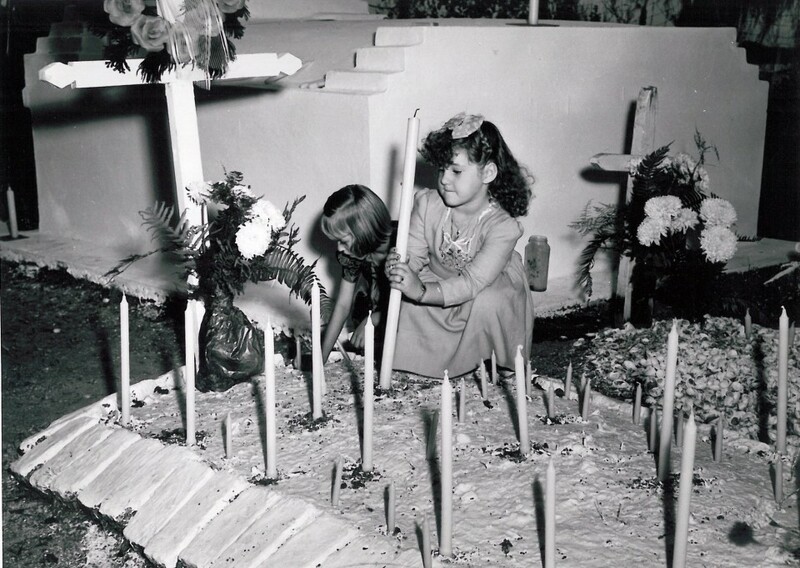 Known as “Día de los Inocentes” (Day of the Innocents), it honors deceased children and infants. October 31 marks the last day of the ancient Celtic calendar. According to ancient Celtic festival of Samhain, the supernatural, including spirits, were free to roam the night and into the morning of November 1. This represented the blurring of lines between this world and the next. Celts believed the presence of these spirits allowed for the Celtic priests to better predict the future. During the festival to ward off bad spirits, the youth would participate in superstitious activities that they believed to bring good fortune and predict their marital statuses. One of these festivities, Pou (Pull) the Stalks, required the young, eligible men and women to uproot kale stalks while blindfolded. After choosing their respective stalks, each stalk would be analyzed to discern information about each participant’s future spouse. Characteristics of the stalks revealed signs about their future partner. For example, a short and stunted stalk meant the participant’s future spouse would be just that, short and stalky. The flavor, as well, determined the disposition of the potential partner such as bitter or sweet. Moreover, the amount of dirt remaining on the stalk post determined the dowry size one was to expect from their future husband or wife’s family. If the root was clean, poverty was in store. 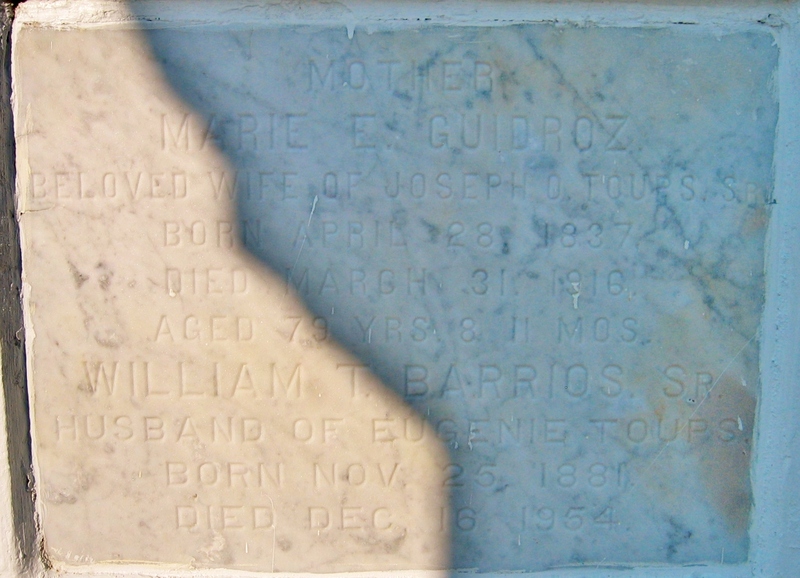 I will go tomorrow morning to lay flowers at my great-grandmother (Gaspard Pappas), grandparents Barrios’ and brother’s graves which happen to be across the lake from New Orleans in Mandeville. The rest of this branch are buried at various spots, including in the original parish of Lafourche. Someday I’ll drive down there to check it out for myself. Think of your ancestors today and the recently passed through All Souls Day. They deserve it. and do yourself a favor-read Anne Rice’s excellent book of the same name about the life of the Creoles as you roam about the Quarter or parts of the city where you feel and see the past. Here is also a great map with linking database of the St. Louis #1 just outside of the French Quarter. Unfortunately, the Diocese which owns it has limited access to those with a tour guide only. 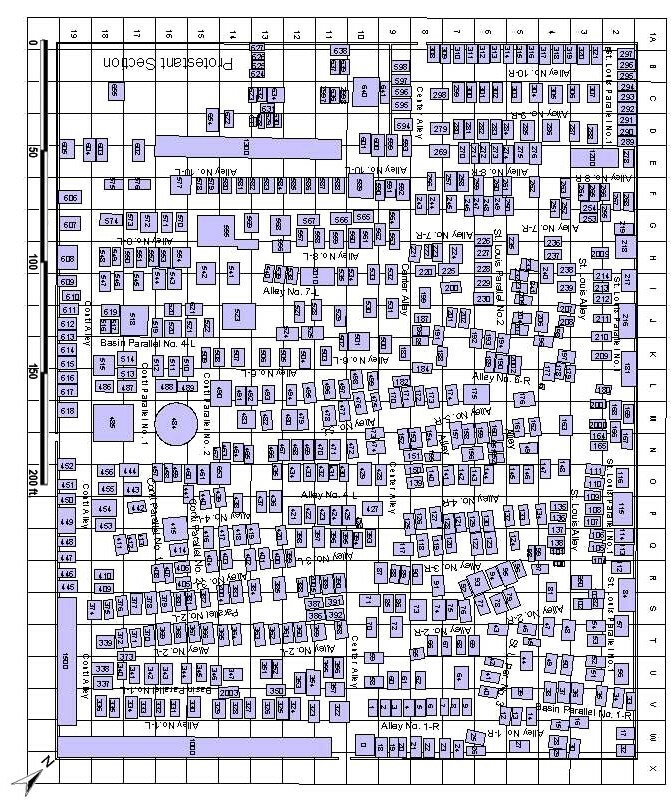 The “Dead Space” survey of St. Louis Cemetery No. 1 conducted in 2001-2002 by the University of Pennsylvania School of Fine Arts graduate program in historic preservation includes an online searchable map and database for every tomb in the cemetery. The map has an accompanying database. 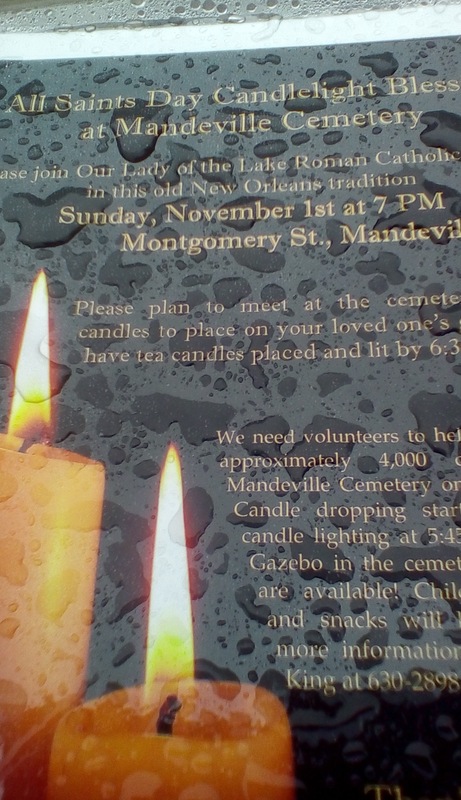 This entry was posted in French Quarter, St. Louis #1 and tagged All Saints Day, Anne Rice.